From ministry announcements to volunteer opportunities, the team at Macedonia Missionary Baptist Church is committed to pushing forward in our mission to Save Souls and Change Lives. To stay current with all of our latest news, please be sure to bookmark this page! A Five-Fold Mission for a Five Star Ministry! God has given Macedonia a theme for ministry in 2019. 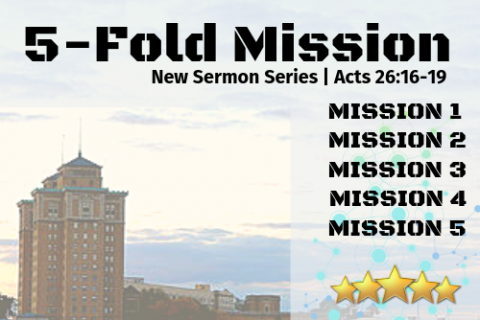 Join us on Sunday mornings to hear more about this Five-Fold Mission that will be delivered through the preaching and teaching of Pastor Troxler.